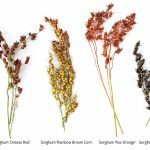 Sorghum forms deep roots that seek out moisture, and develops a waxy outer layer on its sturdy stems to hold in precious moisture– a very adaptable member of the grass family, it evolved in the semi-arid landscapes of Sub Saharan Africa. Seeds are ready to harvest when they are dry– usually in late September to early October. If you pinch them and a milky sap comes out, they are still developing. If you are harvesting sorghum stalks for sugar, it’s at this point you can taste test for sweetness. If they are sweet, strip the leaves off in preparation for harvest. The peeled stalks make a sweet treat to chew on while you work in your garden. 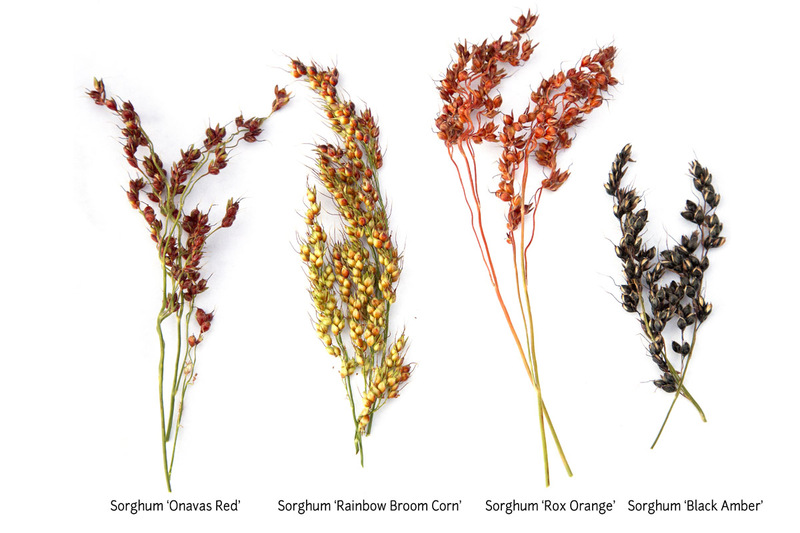 Sorghum is higher in protein than corn, about on par with wheat.